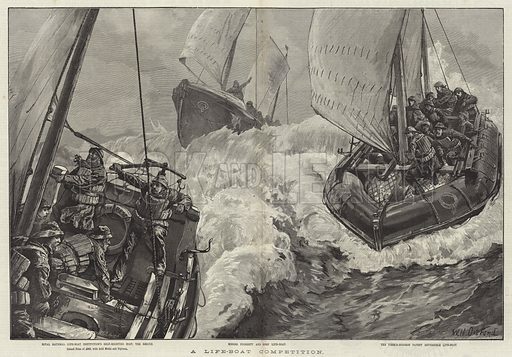 A Life-Boat Competition. Illustration for The Illustrated London News, 18 December 1886. Available worldwide for immediate download up to 11,631 x 8,116 pixels.